What does the climate have to do with finance? 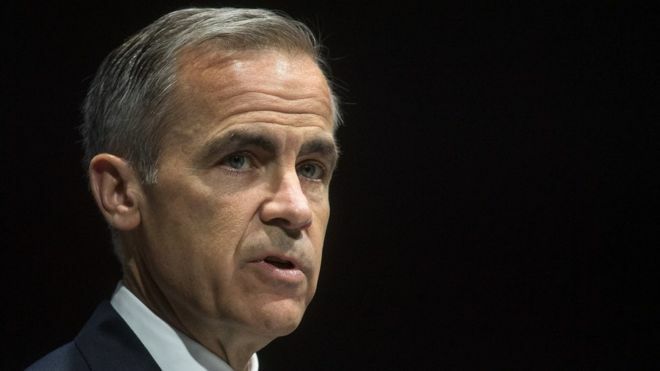 In the letter published by the Bank of England on Wednesday, Mr Carney and Mr Villeroy de Galhau describe “the catastrophic effects of climate change” already having an impact on the planet, such as “blistering heatwaves in North America to typhoons in south-east Asia and droughts in Africa and Australia”. They say that “these events damage infrastructure and private property, negatively affect health, decrease productivity and destroy wealth”. The NGFS elaborates in its “call to action” report, saying that climate change will lead to “disruptive events such as mass migration, political instability and conflict”. This is why world leaders signed the Paris climate agreement in 2015 and committed to reducing their respective countries’ carbon emissions, the letter continues, in order to limit the global temperature rise to well below 2 degrees Celsius. “But this transition brings its own risks,” they add. The NGFS sets out three climate-related financial risks that companies, banks and governments need to fight against. It is the second risk in particular – of switching to a green economy without proper planning – that Mr Carney and Mr Villeroy de Galhau focus on in their letter. “Carbon emissions have to decline by 45% from 2010 levels over the next decade in order to reach net zero by 2050. This requires a massive reallocation of capital,” it reads. The full NGFS report adds that “while urgent action is desirable, an abrupt transition could also have an impact on financial stability and the economy more broadly”. “The speed and timing of the transition are crucial,” it continues. “An orderly scenario, with clear policy signalling, would allow adequate time for existing infrastructure to be replaced and for technological progress to keep energy costs at a reasonable level. Companies and industries that do not adjust or properly plan for these changes, Mr Carney and Mr Villeroy de Galhau say, “will fail to exist”. So what do they propose? They suggest that companies “integrate the monitoring of climate-related financial risks into day-to-day supervisory work, financial stability monitoring and board risk management”. In simpler terms – businesses need to make climate change planning an everyday thing. They also say that central banks should “lead by example” by making their own operations more sustainable. But most importantly, they call for more collaboration within the financial sector, with different companies and bodies sharing information about how they are dealing with these climate risks. “An important element to achieving effective consideration of climate risks across the financial system is to support internal and external collaboration,” they write. The NGFS has also called for regulators to come up with a classification system that shows exactly “which economic activities contribute to the transition to a green and low-carbon economy”. “We need collective leadership and action across countries and we need to be ambitious,” they add. 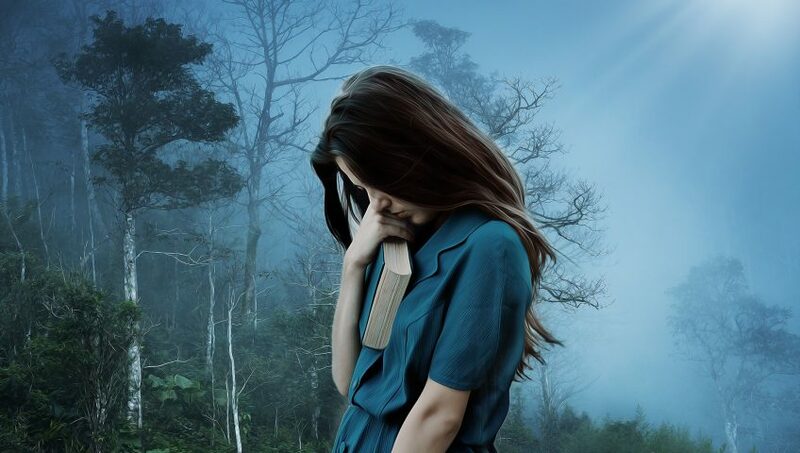 If a book has changed your thinking on the subject of Climate Change or inspired you in a way that you would like to share with others do let us know about it and we will add it our recommendations here. Could there be a more powerful headline than this? 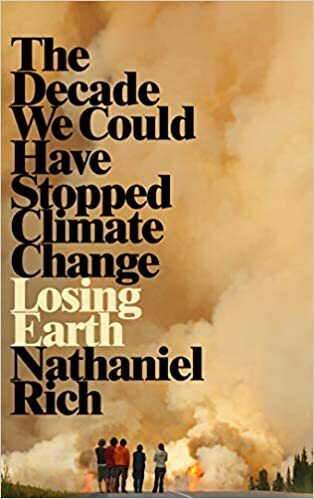 In his book, a gentleman named Nathaniel Rich tells us that by 1979 we knew all that we know now about the science of climate change – what was happening, why it was happening, and how to stop it. Over the next ten years, we had a very real opportunity to stop it. Obviously, we failed. This book is a groundbreaking account of that failure – and how close we came to signing binding treaties that would have saved us all before the fossil fuels industry and politicians committed to anti-scientific denialism – is already a journalistic blockbuster, a full issue of the New York Times Magazine that has earned favorable comparisons to Rachel Carson’s Silent Spring and John Hersey’s Hiroshima. Rich has become an instant, in-demand expert and speaker. A major movie deal is already in place. It is the story, perhaps, that can shift the conversation. In the book Losing Earth, Rich is able to provide more of the context for what did – and didn’t – happen in the 1980s and, more important, is able to carry the story fully into the present day and wrestle with what those past failures mean for us in 2019. It is not just an agonizing revelation of historical missed opportunities, but a clear-eyed and eloquent assessment of how we got to now, and what we can and must do before it’s truly too late. 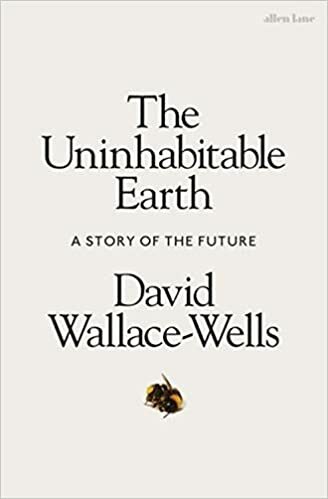 In this book by David Wallace-Wells he explains that the slow ness of climate change is a fairy tale, perhaps as pernicious as the one that says it isn’t happening at all. And says if your anxiety about it is dominated by fears of sea-level rise, you are barely scratching the surface of what terrors are possible, even within the lifetime of a teenager today. Over the past decades, the term ‘Anthropocene’ has climbed into the popular imagination – a name given to the geologic era we live in now, one defined by human intervention in the life of the planet. But however sanguine you might be about the proposition that we have ravaged the natural world, which we surely have, it is another thing entirely to consider the possibility that we have only provoked it, engineering first in ignorance and then in denial a climate system that will now go to war with us for many centuries, perhaps until it destroys us. In the meantime, it will remake us, transforming every aspect of the way we live – the planet no longer nurturing a dream of abundance but a living nightmare. The inspirational Ken Webster, who we have had the good fortune to meet and to have him join us a Keynote Speaker at some of our events has written a book that our team studied at night school at Bournemouth University. It explains how a circular economy has profound consequences for production, employment, education, money and finance but also induces a shift in public policy and taxation. The economic advantage of this model lies in designing out waste, enabling access over ownership and favouring radical resource productivity, with the prospect of rebuilding capital and resilience. 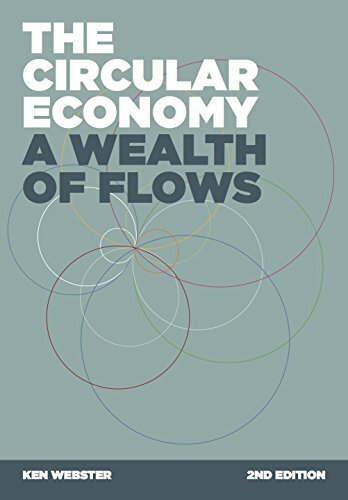 The Circular Economy: A Wealth of Flows gives a stimulating overview of this emerging framework. Since the first edition of this volume in 2015, the global economy has remained relatively subdued and the reduction of strain on resources, especially in terms of waste and carbon emissions, is certainly not yet in sight. However, during the same period, the digital revolution has only accelerated, bringing in its train a myriad of opportunities to rethink the connection between people, resources and products. More than ever, the circular economy gives the direction of travel and appears as a model for economic prosperity. This revised volume contains one entirely new chapter, expanding on the role of digital; on how we see the world; how the economy really works and how we can act within it. The other major revision is in rewriting the final chapter, as it becomes obvious, argues the author, that current social tensions and the rise of populism mean that the evolution of an attractive economic model is no longer just a desirable development, but a matter of some urgency. Ken Webster is Head of Innovation at the Ellen MacArthur Foundation, a leading organisation on the circular economy. This publication gathers contributions from Walter Stahel from the Product-Life Institute, Geneva and Jocelyn Blériot, Executive Officer at the Ellen MacArthur Foundation. If a book has changed your thinking on the subject of Climate Change or inspired you in a way that you would like to share with other do let us know and we will add it our recommendations here.